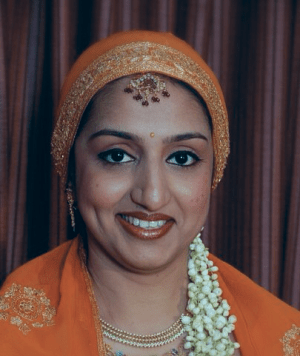 Married to Ammatanda Mithun Appaiah, Thirtha notes that cooking has always been her other key interest. 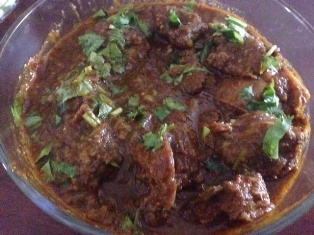 Here, she shares a recipe for a spicy mutton curry. Wash the mutton well and marinate with chilli powder, turmeric powder and salt for about 20-30 mins. Prepare the green masala by grinding together the coriander leaves and green chillies with a few drops of water. For the red masala, first lightly roast all the spices individually. Cool, then grind together into a slightly coarse powder. Heat the oil in a vessel and sauté the finely sliced onions until brown. Add the cassia leaf and the ginger and garlic paste. Sauté until it they no longer smell raw. Now add 2 tbsp of the red masala, along with all the green masala and mix thoroughly. Cook until you see the oil separating out of the masala. At this point add the mutton pieces and water (depending on how much gravy is needed) and bring to a boil. Taste, and add salt and chilli powder if necessary. After one boil, cover the vessel and let it cook on simmer for about 25-30 mins. Check in between to see if the meat is cooked. Alternatively, you may pressure cook the mutton. Your dish is now ready..